Local Heroes Night with the Everett Silvertips! Join us at for Local Heroes Night at the Everett Silvertips vs. Seattle Thunderbirds game on Saturday, February 17th! Seats are filling up fast, order your tickets today! Fundraiser game benefiting the Snohomish County Law Enforcement Memorial Foundation and Medic One Foundation. Tickets ordered online through the link below are only $20 for Upper (Red) Level or $24 for Lower (Green) Level seats. That’s a savings of over $4 per ticket compared to the normal online price! Also, up to $7 of each ticket ordered through this promotion will be split 50/50 to both funds! 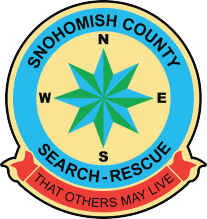 The SCLEMF sole purpose is to provide immediate financial assistance to the surviving spouse and children of any officers in Snohomish County killed in the line of duty. The goal of the Medic One Foundation is to help save lives and improve the quality of emergency medical services in the Everett and Snohomish County communities, as well as enhancing the general public’s understanding of this critically important mission.